In October I published an analysis on Madison Square Garden (MSG) and highlighted the company as a strong buy and one of our top picks. Despite another strong month for the markets, shares of MSG are down 3% since I recommended them, despite releasing some positive news over the past few weeks. First MSG announced that renovations at Madison Square Garden had been completed just in time for the start of the New York Knicks and Rangers seasons. The project had been ongoing for more than 3 years and cost $1 billion. 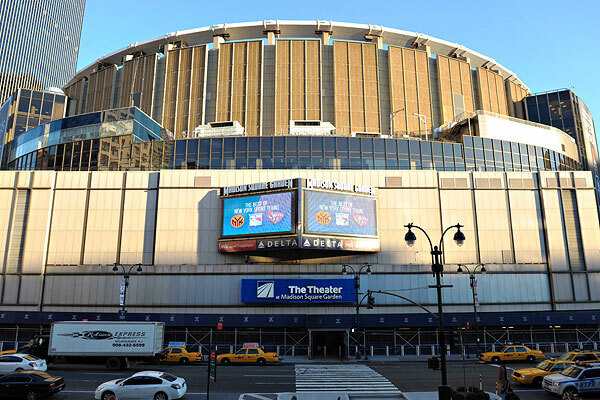 For the first time since spinning-off from Cablevision, Madison Square Garden will have normalized cash flows now that their renovations are finished, opening the door for a potential dividend or share repurchase. Then last week, MSG reported Q1 2014 results that beat analyst expectations. Madison Square Garden earned $0.31 per share, easily topping the $0.22 consensus estimate. They also beat on revenues by $3 million, generating sales of $215 million for the quarter. While some investors in MSG may have been frustrated by the muted response the aforementioned developments received, this is an asset play, patience is a necessity. We do not anticipate any news out of Madison Square Garden that will offer much of a surprise. Their business is relatively consistent and easy to model, they are not going to shock anyone with growth. Our investment thesis is based on the markets not understanding the true value of MSG’s assets. These assets have been undervalued for years now, and although shares have been gradually appreciating towards fair value they still have a long way to go. In our analysis published last month we concluded a fair enterprise value for Madison Square Garden existed between $7.9- $8.5 billion. We came to this price by valuing MSG Media at $4.4- $5 billion, the Madison Square Garden Arena and its air rights at $2 billion, $1.15 billion for the Knicks and Rangers, and $350 million for their other venues. Madison Square Garden’s current EV is only $4.1 billion. The slight decline in share price since our initial recommendation merely provides a better valuation, the underlying story has not changed at all, MSG is still a strong buy and one of our top picks.